London based Kiwi Brendan Power has developed a considerable reputation for his concert and recording work featuring the harmonica. 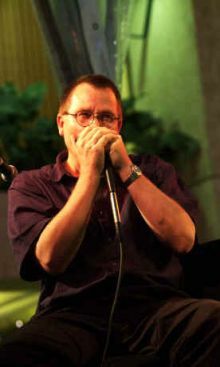 Equally at ease on both the earthy Blues Harp as well as the sophisticated Chromatic Harmonica, he tunes them to his own scales to create a highly original style. Since he moved to Britain in 1992, Brendan eclectic skills and sympathetic ear have made him an in-demand session player, leading to some high-profile live and recording work with artists such as Sting, Desrée, Mel C, James Galway, Van Morrison, Paul Young, John Williams, and many more. His playing is featured on several Hollywood movie soundtracks, including films starring Madonna, Britney Spears and Jackie Chan, and BBC TV series such as Auf Wiedersehen Pet.